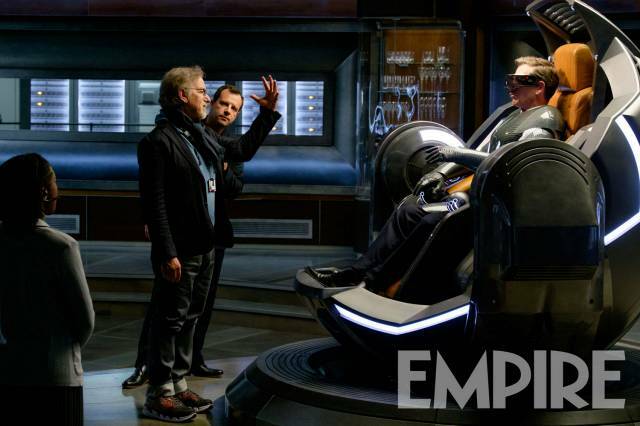 This month, Steven Spielberg takes over the quality movie magazine, Empire. It's packed with articles covering his whole career including his latest movie, Ready Player One. 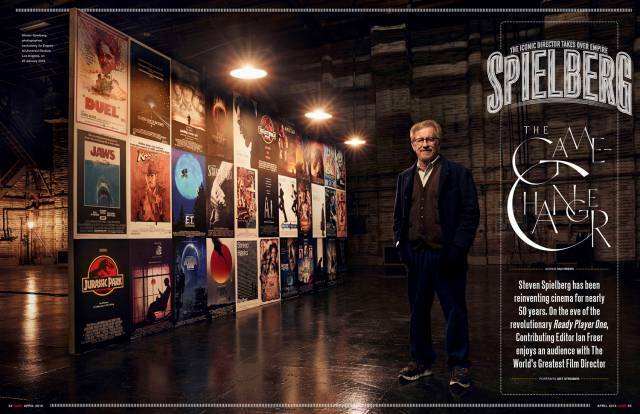 Also in the magazine is an in-depth interview with Mr Spielberg from the experienced Ian Freer. It takes place on Stage 20 of Universal Studios just before the director had a dinner date with a certain Johnny Williams. Here's just a few interesting tidbits from that interview. He admits Ready Player One was his third most difficult movie to shoot after Jaws and Saving Private Ryan. 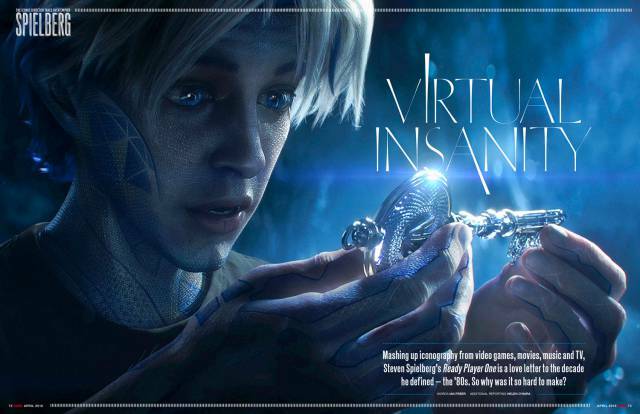 Where Jaws and Saving Private Ryan were a physical challenge, Ready Player One was a technical challenge. The director revealed he was learning new things as they were shooting. He was only getting four to five hours sleep during shooting for Ready Player One but said it was one of the most fulfilling experiences he's had. Spielberg was aware that his movies were referenced in Ernest Cline's novel but was too embarrassed to include them. He realises this may make some fans angry. He didn't think anyone outside parents taking their seven or eight year olds would go and see E.T. The Extra Terrestrial and actually thought Poltergeist would do better at the box office. Spielberg thought Jaws would finish his career not enhance it because of how hard it was to make. There were two moments the studio tried to fire the director. He thinks that every movie a director makes has some personal DNA. Transformers was a personal film for Michael Bay the director reveals. He felt like a "fish out of water" making Hook and didn't have confidence in the script. He's not proud of Hook but is proud of 1941. "I'm more than your producer, I'm your friend. You can't go over budget on this one. You can't do that to me" is what George Lucas said to Steven Spielberg when they teamed up for Raiders of the Lost Ark. Spielberg took that statement seriously. He was mad at being on set for Jurassic Park due to the toll and effect Schindler's List was having on the director. He was furious at the dinosaurs for having to do this work. Spielberg enjoys it when he sees his influence in other work. He is a big fan of Stranger Things especially season 2. He said the Duffer Brothers didn't steal the formula, they figured out the formula. He actually watches a ton of TV especially mini-series and watches four to five movies a week. When he's in the movie the world goes away. The new Spielberg special Empire magazine is on sale now. You can subscribe here.